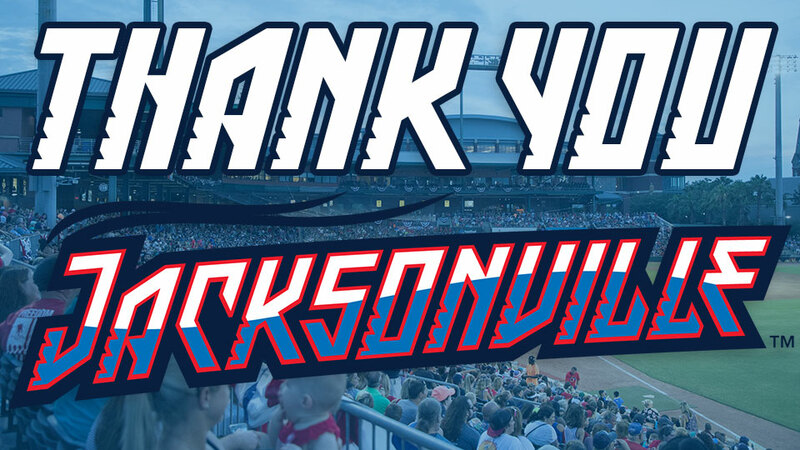 As we complete this season of Jumbo Shrimp baseball, we want to thank you for incredible support! On behalf of our entire staff, we are so grateful you shared a part of your spring and summer with us at the ballpark. You transform the Baseball Grounds of Jacksonville into an exciting place for us to work and provide a special gathering place for you, your family, friends, neighbors and colleagues. More than 317,000 of you came to Jumbo Shrimp games this year, and your enthusiasm truly energizes us as we begin planning and preparing for next season, and continue to serve the Northeast Florida community beyond the ballpark. While this baseball season is ending, we hope to welcome you back to the ballpark soon for more affordable family fun, such as our Family Movie Nights and the numerous charitable and community events we host throughout the year. And we look forward to celebrating the start of another Jumbo Shrimp season on Opening Day April 4, 2019.